Cooperative social responsibility: It’s been our heritage. It drives us today. It will be our future. From stewardship of cows and land to reducing environmental impacts and improving social value, sustainability is an important commitment and a part of our strategy. We report about our efforts, focusing on what is most material to stakeholders. Leaders of both Darigold and our Northwest Dairy Association cooperative farmer-owners are committed to social and environmental responsibility. Our CEO and Board Chair share their views on how important this is to Darigold’s current operations as well as to our future. We made important progress over the last four years reducing energy use and CO2 emissions, assuring animal welfare practices, supporting on-farm employee management, contributing to local communities, and investing in infrastructure, technology, people development, and systems to drive even further environmental improvements. ENSURING THE HIGHEST QUALITY PRODUCTS FOR OUR CUSTOMERS. STRIVING TO REDUCE ENERGY AND WATER CONSUMPTION AND INCREASE RESOURCE EFFICIENCY IN OUR PROCESSING PLANTS. All these have been core to Darigold’s values and to our management practices since our cooperative was founded almost 100 years ago. We have long-recognized that Cooperative Social Responsibility (CSR) is good business practice. In addition, what has always driven our passion is that our products form the foundation for providing important nutritional value throughout the world. That foundation of nourishing the world continues today. As we engage with customers and manage our business, we understand more deeply every day the shifting sustainability requirements, risks and opportunities. Our corporate customers’ expectations for CSR-related data and improvement have become specific and sophisticated. In responding to consumers’ concerns about social and environmental responsibility, our corporate customers are now asking for transparency and traceability throughout their supply chain. They want assurances about both animal welfare and employment practices on the farms, data about our carbon footprint and resource utilization, and continuous improvement across the board. The way we manage CSR is an important element of both ensuring the health of the environment and the well-being of people in communities where we operate. At the same time, CSR is helping us in preserving and building the aspects of our customer relationships that can be “make-it-or-break-it” factors in times of market volatility and downturns. For us, sustainability is a strategic commitment. First and foremost, we are committed to being responsible stewards, like the many generations of our families before us have been. We also view sustainability as a strategic imperative for business reasons. Corporate responsibility, the highest reputation, and meaningful work, for example, are important to attracting and retaining talented employees. Regulations are increasingly stringent in areas such as the environment and labor. Today, Cooperative Social Responsibility is one of the areas we must address and manage as an organization. Proactively advancing CSR and moving forward toward a sustainable future is a strategic business issue for Darigold. We have made progress in many areas over the last eight years since we initiated our formal CSR efforts and began reporting about them. At the same time, we must focus on continuous improvement. We are committed to continuing to integrate CSR into our strategic management of Darigold. Our primary goal for the near century we’ve been in business has been to provide high quality, nutritious and affordable food that enhances customers’ lives every day. Darigold customers and consumers know that our products are the highest quality. Consumers appreciate Darigold being a producer-owned cooperative, where every dollar they spend creates value for farmers, farm workers and rural communities. Darigold’s primary purpose is to provide nutrition for families around the world while building prosperity for our farmer-owners. 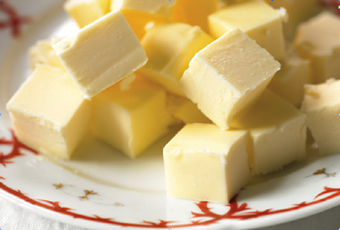 In the nutritional value and high quality of our dairy products. In encouraging rigorous animal care, environmental stewardship and responsible labor management on our members’ farms. In how we strive for efficient and environmentally sound operations in our processing plants, transportation practices, and packaging design. In our focused attention to ensuring the quality of all our products. In our work environment and caring for employees. In how we give back to the communities where we live and work. In our leadership in the dairy industry. Our first two Cooperative Social Responsibility (CSR) Reports, Nourishing Our Future in 2010 and Keeping Our Promise in 2012, highlighted a commitment to sustainability on the part of Darigold and of our cooperative farmer-owners, the Northwest Dairy Association (NDA). Darigold is 100% owned by the members of NDA. Now in this – our 2016 Cooperative Social Responsibility (CSR) Report – we are transitioning away from lengthy paper reports to web-based reporting. We will continue to evolve this website to be a dynamic, up-to-date online platform for communicating about Darigold’s CSR-related impacts, issues, performance and improvement initiatives. In moving from printed and downloadable reports to this online section of our website, we hope to make information more accessible, customizable and user-friendly. Our goal is to provide an authentic, transparent picture of our sustainability journey. We describe our initiatives and accomplishments, but also the challenges we are encountering along the way as we deal with the complex realities of tackling sustainability in our industry. One of these challenges is the issue of measurement. 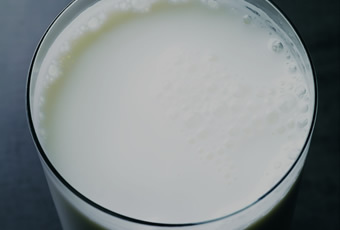 Industry associations, academic institutions and other organizations both nationally and internationally are working to establish standards and protocols for assessment and reporting in the dairy and food processing industry (for example, the Innovation Center for US Dairy, GRI Sector supplements, and Sustainability Accounting Standards Board [SASB]). Darigold executives are serving on the Innovation Center for US Dairy Sustainability Guide Regional and National Indicator Development Team, and we will continue to work to align our methodology with the emerging industry standards. We are also working on measurement reliability internally. Darigold is continuing to build the organizational knowledge, data collection systems and managerial systems needed to accurately assess our performance and drive continuous improvement. The data presented here represent our best good faith understanding of our performance. We have noted those places where data is missing or less reliable than we would like, and we describe the efforts we are making to develop more rigorous systems. Our objective for this web-based reporting is to provide a picture of Darigold’s CSR performance for the calendar years 2012 to 2015 (the years since our last formal report). We summarize the material environmental, social and economic impacts and improvement initiatives for all Darigold production facilities and operations. 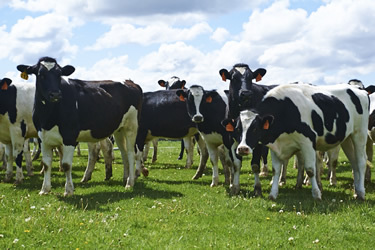 We also outline some of the leadership efforts, services and programs that Darigold provides for our cooperative dairy producer-owners (Northwest Dairy Association [NDA]), although the organizational boundaries of this report are Darigold’s production facilities. Our CSR reporting generally references the Global Reporting Initiative GRI G4 guidelines (the de facto worldwide sustainability reporting standard) and includes many of their suggested indicators. Darigold has made significant efforts to ensure the accuracy of the information in this report, but it has not been audited and is not guaranteed. Darigold does not have direct control over our NDA members' farms. This report is not intended to be a solicitation or advertisement for the sale of Darigold products and does not include specifications, characteristics, uses or benefits, or warranties of any kind, and cannot be relied upon for such purposes. Forward looking statements, opinions, valuations and estimates provided in this report are based on assumptions and contingencies, which are subject to change without notice. Our communications and reporting focus primarily on those issues that are most important to our key stakeholders and to our business. Darigold’s key stakeholders are corporate customers, consumers, employees, dairy producers, rural and urban community members, suppliers, regulators and critical interest groups. 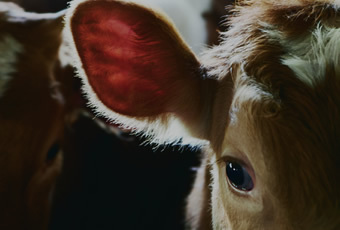 We use a variety of mechanisms to determine material issues for each of these stakeholder groups, including surveys, focus groups, meetings, phone and online hotlines, news and media reviews, interactions with labor unions, consultation with sustainability experts, as well as research and reviews of emerging standards for the dairy industry.